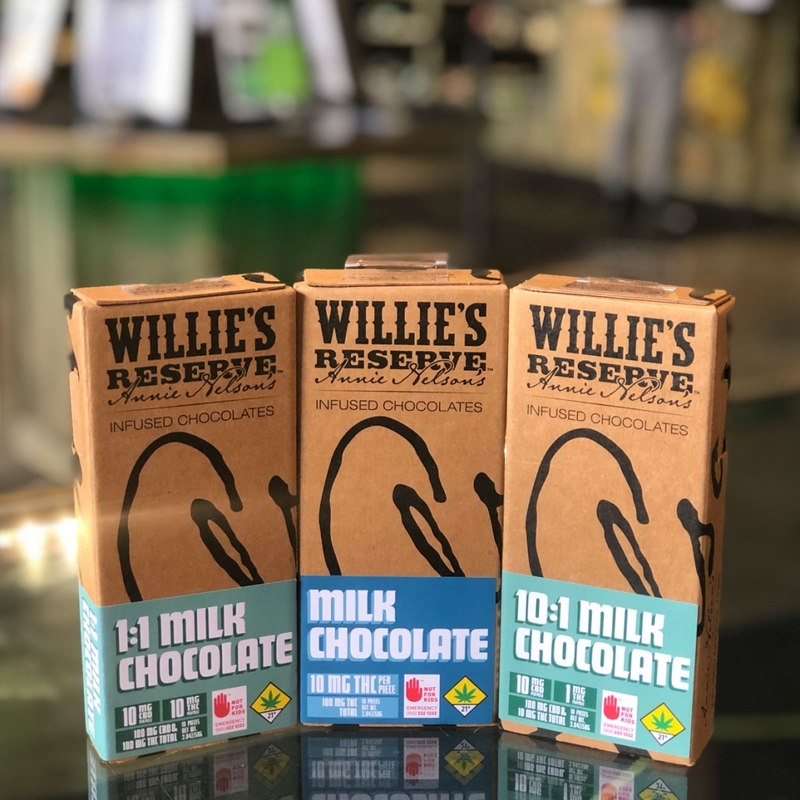 These Willie’s Reserve edibles are the newest addition to Annie’s chocolate collection. Fine and raw chocolate, coconut palm sugar, and whole flower make these sweet chocolates all organic, gluten-free, and vegetarian. Get a pack of these mouth-watering delectables available in 10:1 CBD, 1:1 CBD or THC only.